We stand in front of the 4th and largest wave of the industrial revolution, powered by AI and Data. This is the biggest opportunity so far for innovation and entrepreneurship, and every single industry will be disrupted and redefined by companies that are not yet even born. 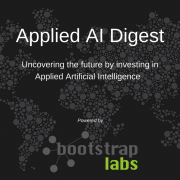 With the AI market projected to grow over 20 fold in the next 10 years to $3Tn annually, we believe Applied Artificial Intelligence represents one of the major wealth creation opportunities of this century. 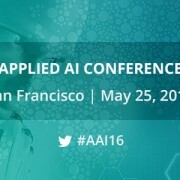 Any system that is not learning will soon die, and applying AI to new or existing systems will extend and accelerate societal improvement. 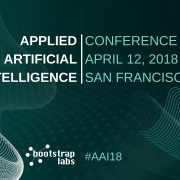 AI-driven systems will soon be able to build better, more efficient products that scale and solve problems in ways that have not been possible before. 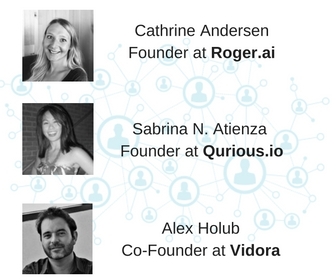 While everyone is talking about Autonomous Vehicles, we want to talk to you about the Autonomous Corporation, where most actions will be automated, decisions autonomously taken and where outcome will be learned from to continuously improve results. 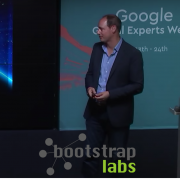 We are moving away from the world of Automated Systems and stepping into a world of Autonomous Systems. The power of AI is about leveraging technology and big data, automating repetitive mechanical tasks, capturing more data from the real world, and ultimately empowering humans with actionable intelligence, rather than replacing them, and finally changing our world for the better! 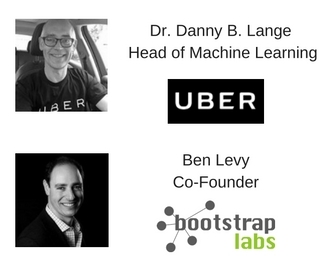 Join us @ BootstrapLabs HQ for an exciting evening with the leaders of the Autonomous Revolution! Space is very limited and we expect to reach full capacity quickly. See you on November 15th! 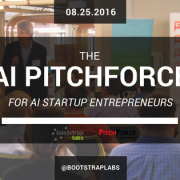 Announcing AI PitchForce. Apply now! did you guys consider an online live aspect? Would be fine for the rest of the world outside SV.